The Golden State Warriors have had a turbulent history. In the past decade alone they’ve gone from a perennial lottery team to a seemingly unbeatable Superteam. Thankfully, we are now experiencing the greatest run in franchise history after years of ineptitude. As a way of appreciating the highs and the lows, the good and the bad, the right and the wrong, here is a look back at the last ten years, starting with the 2006-2007 season. This bad-boy Warriors squad, which through Matt Barnes’ lens had a “bunch of guys that nobody wanted,” knocked off the 67-win goliath Dallas Mavericks. The Mavs, led by NBA MVP Dirk Nowitzki, became the first 1 seed to lose to an 8 seed since the NBA Playoffs switched their playoff format in 2003. On January 16th of that season, Warrior’s GM Chris Mullin aggressively flipped Troy Murphy and Mike Dunleavy for Stephen Jackson and Al Harrington. Harrington and “Captain Jack” were nice additions to Don Nelson’s uptempo offense as they brought shooting, versatility, and toughness. The scrappy, small-ball lineup of Baron Davis, Monta Ellis, Jason Richardson, Stephen Jackson, and Andris Biedrins kept a pace second to only the D’Antoni Suns. They led the league in steals per game with 9.1, and finished 3rd in blocks per game with 5.7 which made up for their mediocre rebounding and inconsistent shooting numbers. Mickael Pietrus, Matt Barnes, and Al Harrington all made solid contributions in the rotation as Nelson would shuffle his lineup depending on the opponent. Adonal Foyle, the all-time leader in blocked shots for the Warriors, brought size as the longest tenured Warrior on the legendary ‘07 We Believe Warriors. This Warriors squad was strengthened by the pulse of the Bay and played their best basketball in Oracle Arena. After defeating the Pistons in the regular season, the Warriors picked up momentum and finished the regular season 11-4. With new additions, key role players, and healthy stars, this Dubs team was explosive. The combination of Don Nelson’s ridiculously entertaining pace and the end of the 13 year playoff drought made the buzz around the team electric. For the first time in our lifetime, we observed our hometown team in the spotlight of the NBA playoffs. However, despite defeating a mighty Mavs team, the We Believe squad was left with more questions than answers going into next season. Following a second round appearance, Warrior fans finally had a foundation to be proud of. At the 2007 NBA Draft, in their seemingly endless search for a quality big man, they traded fan favorite J-Rich for eighth pick Brandan Wright. That season the “We Belong” Dubs won 48 games behind Baron, Stack, Al Harrington, and an improving Monta Ellis. Despite winning 6 more games, the Dubs missed the playoffs as the West was crazy deep that year. 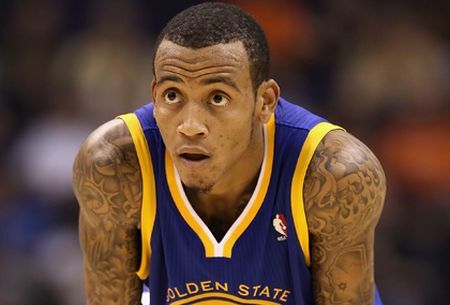 Monta Ellis, the one man fast break, showed us that steals don’t make a good defender. Going to games with my father became less about seeing the hapless Warriors, and more about watching the visiting stars as the Warriors went 29-53 in 09’. 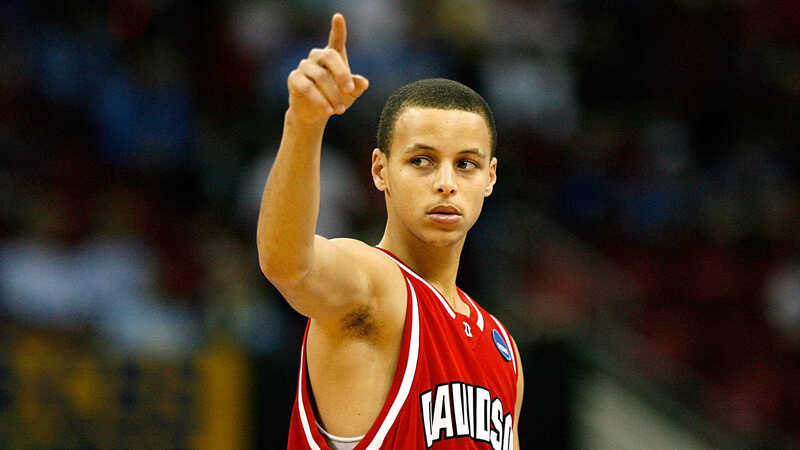 On June 25, 2009, the Warriors drafted Stephen Curry, the leading scorer in college basketball in 2008-2009. Suddenly, the sad sack Warriors had a franchise player, a light at the end of the tunnel. The team was sold to aggressive ownership group Joe Lacob and Peter Guber who landed All-star free agent David Lee from New York. Lacob, wanting to change the tune of the franchise, hired broadcaster Mark Jackson to coach the team and former sports agent Bob Myers in the front office. Changes were also made to the logo, giving Oracle’s floor a revamped layout and the jerseys a fresh new look. Bob Myers soon began to flash his executive of the year form, as he drafted fellow Splash brother Klay Thompson at 11th overall out of Washington State. Once Monta was traded for Center Andrew Bogut, the Warriors finally had the pieces to defend and compete. Mark Jackson’s tenure lasted from June 6, 2011 to May 6, 2014. People forget, but in his short tenure Mark Jackson CHANGED THE WARRIOR CULTURE. Under Jackson, the Warriors jumped from 36 to 51 wins. He flipped their 3rd worst defensive rating into the 3rd best. From a player-development perspective Jackson was flawless. His reign saw Klay Thompson become a two-way star, Curry trade glass ankles for a flamethrower, and Draymond Green develop into a leader. Watching the promising young core develop and experience success gave hope to the Warriors fanbase. Power Forward David Lee continued his strong double-double performances, and Bogut was an anchor on defense. The 2012-13 was this group’s first taste of the NBA Playoffs. Following a first round upset over the #3 seeded Nuggets, the Warriors lost to Western Conference Champ Spurs in six games. During this stretch, we really grew in both our attachment to the Warriors, but also our understanding of the complexities of the game. We could see this team developing, the enormous upside of Curry, and the many factors that contribute to winning basketball. The Warriors were quickly becoming the most exciting team in the league behind the young splash bros, and solid NBA vets. The acquisition of Andre Iguodala from Denver combined with growth from Harrison Barnes gave the Warriors enough wing talent to turn them into serious contenders in 2013-14. Despite back to back playoff seasons, Jackson had an increasingly dysfunctional relationship with his coaching staff and management. One notable Jackson flare up was the spat that he had with the Logo, Warriors consultant Jerry West. Jackson’s rocky relationship with management, poor record in close games, and unwillingness to hire a quality staff all factored into his firing. At the time, we saw this as a risky decision as the 51 win Warriors were young, dangerous, and headed in the right direction. In retrospect, however, Jackson’s defensive-minded perspective perhaps held the Warriors back on offense. Jackson’s legacy can not be forgotten, and he is nearly as important as his successor Steve Kerr in setting the foundation for the Superteam we see today. The Steve Kerr era as a whole has been surreal. Hired in 2014-15 to take the Warriors to the next level, Kerr installed a ball movement heavy system, with bits and pieces from legends like Phil Jackson and Gregg Popovich. Freed from Mark Jackson’s preferred isolation ball, Curry and Klay Thompson elevated their play under Kerr. With an elite offense and defense, Kerr guided the Warriors to a 67-15 record and an astounding 10.1 +-. Going into the playoffs, questions remained about whether the Warriors, a “jump shooting team” could win a title. Nevertheless, the franchise’s 40 year championship drought came to an end, with Andre Iguodala winning Finals MVP. I still get chills hearing ABC’s Mike Breen proclaim, “The Golden State Warriors are NBA Champions”. Following a record breaking 73-9 regular season that saw Stephen Curry make an astonishing 400 three pointers en route to a unanimous MVP, come the middle of June the Warriors were deep into a grueling postseason full of highs and lows. The pinnacle of the NBA season, Game 7 of the NBA Finals provided some Father’s Day evening suspense for 30.8 million viewers. My 2016 Father’s Day ended like most Sunday nights for me, a glass of Jameson with the old man, except for one difference. We hadn’t spoken in over an hour. After attending a Warriors game, my dad and I turn into “Inside the NBA” anchors throughout the ride home and into the evening beverage. This was our chance to point out our personal insights into the game. But not this game, not this father’s day. We had recently left a hushed “Roaracle”, comprehending what had just unfolded right before our very eyes. No team had ever blown a 3-1 lead in the NBA Finals, not till June 19. The Block still gives me nightmares. The Shot makes me cringe. What many couldn’t wrap their head around was The Stop. Steph Curry, two time MVP, and lethal scoring threat, couldn’t get around Kevin Love (a poor defender) with the game on the line. I’m fuming just writing this. The best year for young Warrior fans was inexplicably followed by the heartbreak of 2016. The basketball sadness didn’t last too long, as Christmas came in July, and Kevin Durant joined the Warriors. The acquisition of Durant gave the Warriors a loaded roster, with 2 MVPS and 4 All Stars in their primes. They capped off an impressive 16-1 run in the playoffs with the franchise’s second title in three years. The redemption title was fun to experience, and seeing Durant win his first title was awesome. The Warriors have a great thing going right now, and fans should enjoy every moment.